Check out our tips on keeping cool while exercising ~ Try them and let us know what you think! Whether you’ve been exercising all your life or just begun, there have always been myths and fads surrounding the fitness world. Crash diets, the ability to lose weight quickly or what foods to eat are examples of ways popular media has shaped fitness. But really, the main reason many people exercise is to lose weight. However, many people go in blind without exactly knowing what will happen to their body. The following are things most likely to happen when you start a workout routine. 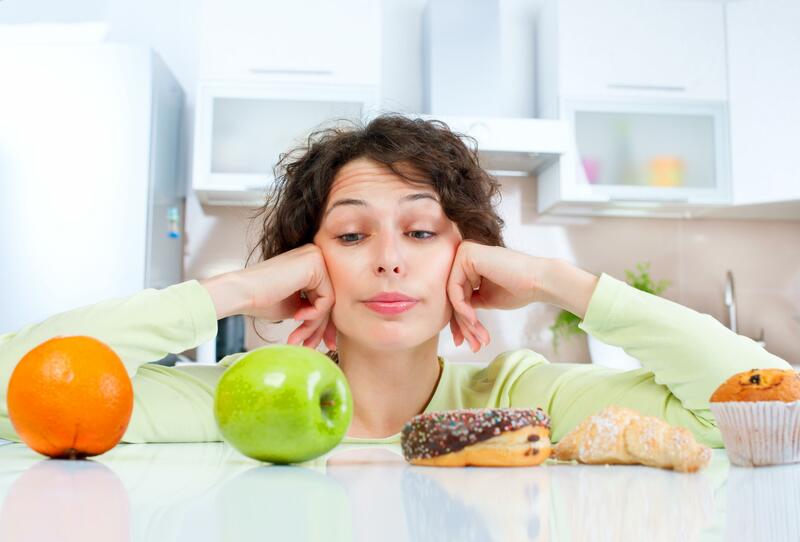 You’ll want to diet – Don’t do this. Many diets include cutting out foods altogether like sugar and carbs. According to Brent Brookbush, certified personal trainer with degrees in Health and Wellness as well as a master’s in Exercise Science says, Carbohydrates are not the enemy. Excess calories are your enemy, not carbs! Carbohydrates are a source of energy for the body. You’ll want to eat more – Do this. This does not mean get a second helping at dinner, it means to eat one or two healthy snacks throughout the day. As stated in the last section, your body needs more energy to burn fat. In those crash diets and instant weight loss programs they claim you can “lose 10 pounds in a week” or another outrageous number. But, those 10 pounds are not fat. The weight loss during crash diets and low carb diets comes from muscle sugar depletion, relative dehydration and the breakdown of proteins in the muscles and liver. And it all comes down to carbs! If you don’t consume enough carbs, your body has to find new ways to make sugar. Because of this new need, your body targets the storage in your muscles, not fat, to make sugar. Don’t detour your body’s new need to eat more when you start an exercise routine, make it up with lots of consumption of leafy greens, good carbohydrates and protein! Your body might want to exercise – This is great! You’ve most likely heard of “runner’s high” or the release of endorphins through the brain when a person exercises. But according to HowStuffWorks.com, researchers have found that light-to-moderate weight training or cardiovascular exercise doesn’t produce endorphins, only heavy weights or training that incorporates sprinting or other anaerobic exertion. When your body crosses over from an aerobic state to an anaerobic state, it’s suddenly operating without enough oxygen to satisfy the muscles and cells screaming out for it. This is when the “runner’s high” occurs. Though the sudden need for that euphoric feeling won’t get you addicted to exercising, you may start to notice you are more alert, have more energy and just want to get up and run around! Every person is different, so when formulating an exercise routine for yourself, find your limits and find what works for you! Ask the trainers at Powerlady to help you with your exercise routine! Colin Powell, a retired U.S. army general said, “If you are going to achieve excellence in big things, you develop the habit in little matters.” Whether it’s a 4-star general or the little voice inside your head urging you to “keep moving forward,” developing a habit, a ritual, for your workout routine will mean all the difference. According to Healthline, it takes six to eight weeks for your body to adapt to a workout routine, both physically and mentally. Though it is important to diversify your workout, as explained here, maintaining a healthy workout regimen is the first step. People will start working out, see no results and either change it up or quit. But, we are far from instant creatures…we love habits. It’s true that growth and change are crucial for our lives, but it’s our routines that keep us functioning. After making that “I’m going to lose weight” New Years resolution three months in, we are picking up cake from the grocery store right next to our gyms. Don’t treat fitness like that “new thing” or “something I’m going to start when I have time,” treat it like brushing your teeth or putting on make-up. It’s something you do frequently in your life to make yourself look and feel better. By developing your exercise habits, not only will you see results physically, you’ll feel results mentally. Six to eight weeks…are you up for the challenge? The Poker Chip Challenge has helped our members start their routine! Ask how Powerlady Fitness can help you with your exercise routine. Need somewhere to start? 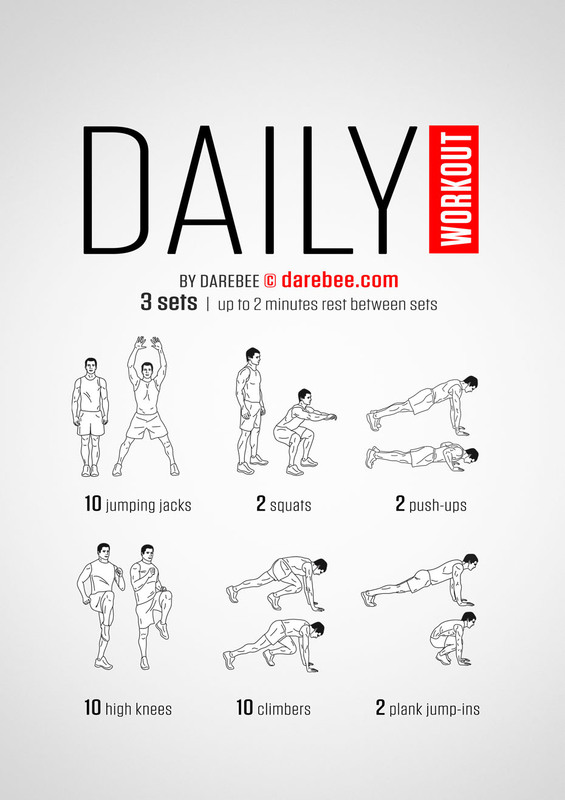 Here’s a daily workout from darebee.com to try. So, you’ve finally mastered that workout you do on a daily basis and that 8-pound weight isn’t as hard to lift anymore. You’re finally getting better at working out and reaching your goals right? …yes and no. 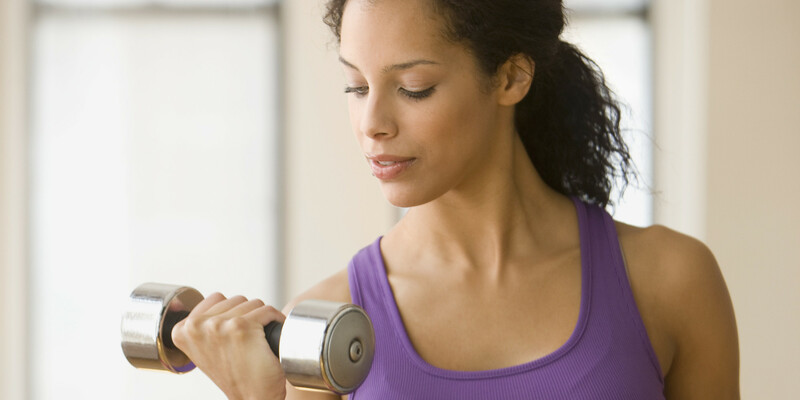 According to Healthline, when your body performs the same exercises repeatedly your muscles and body adjust. Even though your workout is more comfortable, your body is no longer being challenged. It takes about 6 to 8 weeks for your body to adapt to an exercise routine. If the routine stays the same, your fitness level will plateau. It’s important to add diversity to your exercise routine. The best way to do this is cover three areas of fitness: cardio, strength and stretch. Cardio, or cardiovascular exercise, is any activity that increases your heart rate. When your heart rate reaches a certain level, the body begins to burn calories. This applies to any cardio exercise like running, dancing and aerobics. The best ways to vary your cardio workouts are changing pace, distance and intensity. Using a higher incline on a treadmill or changing your 2-mile daily walk to 20 minutes of jogging. It’s very hard to build muscle without changing up strength or weight training; this is any exercise using weights and resistance. Once the muscles have adapted to a strength exercise, they will continue to need exposure to more challenging exercises to build muscle. Remember to change up the weight. The best way to improve strength is to vary exercises for each body part. Many people may stick to bicep curls and push ups, but also remember the back, shoulders and triceps during your weight training. Improving your flexibility will not only improve your overall fitness, but it will give you more options and range for other workouts. Stretching routines like yoga at least 3 times a week will add to a well-rounded exercise routine. If stretching on your own remember to hit the major parts of the body like arms, legs, neck, shoulders and back. Are you up for a new challenge? Try the Powerlady Poker Chip Challenge. Diversify your workout and put your name in for prizes and recognition! What is Cross Training and what are the Benefits for Women? Cross Training is an exercise regimen that includes using different forms of exercise to improve overall performance – in your chosen sport or in your favorite class. Cross training will improve your body by keeping various muscle groups fresh and fit, while variety in the workout routine helps to prevent overuse injuries. When you only do one kind of fitness activity – such as running or weight lifting, and you only work on the muscles involved in that sport, you will usually be in great shape for that specific endeavor. Plus, when you restrict yourself to one type of exercise, you will eventually reach a point where you will maintain your level of fitness rather than improving it. Conversely, cross training will help build balanced, physical proficiency, thereby increasing your overall level of fitness and preparing you for a wide range of activities. You have One Million Reasons not to Work Out. And One Great Reason to Start Now: YOU. Contact us! Why should you choose Powerlady Fitness?